The NIH has awarded a five-year, $7 million "transformative" grant to a team of researchers from Emory, Georgia Tech, and University of Pennsylvania to support the group's continuing work to facilitate identification and removal of cancer cells during surgery. 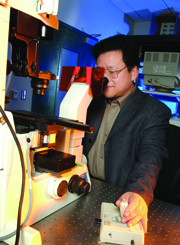 Researcher Shuming Nie and his colleagues at the Emory-Georgia Tech Nanotechnology Center for Personalized and Predictive Oncology have been developing fluorescent nanoparticles that make cancer cells more visible. They also have developed a handheld device, the SpectroPen, that can be used to detect fluorescent dyes and scattered light from tiny gold particles during surgery. "Our main goals are to help surgeons distinguish tumor margins, identify diseased lymph nodes and micrometastases, and determine if a tumor has been completely removed," says Nie. The grant includes plans for tests of the nanoparticles and cancer detection instruments on dogs with naturally occurring lung tumors and a first-in-human clinical trial for patients with lung cancer (the latter at University of Pennsylvania). The proposed technologies could be broadly applicable to other types of solid tumors as well. The award was one of 17 granted this year through the NIH's Transformative Research Projects Program, which was created to speed translation of research into improved health for the public. Read more. 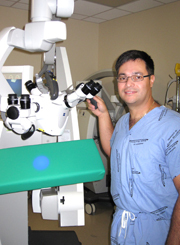 In clinical research coincidentally pursuing similar goals as those supported by the NIH transformative grant, neurosurgeon Costas Hadjipanayis is principal investigator on a phase 2 clinical trial testing an investigational new drug that is absorbed by malignant brain tumors and helps surgeons differentiate cancerous tissue from surrounding normal brain tissue. Emory will be the first site in the U.S. to test the European marketed drug, 5-ALA, known as Gliolan in this country. 5-ALA has not been approved by the U.S. Food and Drug Administration (FDA) at this time but is approved for use in Europe. When 5-ALA is taken orally, it is absorbed by malignant gliomas and is metabolized to create fluorescent molecules under a blue-light operative microscope. The tumor glows a violet-red color under the blue light, allowing the neurosurgeon to see the full scope of the tumor. The study seeks to enroll 33 people over a two-year period. "This trial will help determine if 5-ALA causes any side effects and if it helps neurosurgeons with better removal of malignant tissue,” Hadjipanayis says. Following this clinical trial, which is based at Emory University Hospital Midtown and Winship Cancer Institute, researchers are planning a multi-center phase 3 trial that could lead to potential FDA approval of this drug. Read more. 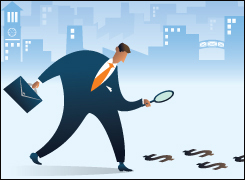 The language of research-related finance in an academic setting may be second nature to investigators and administrators, but it can be puzzling to those outside that realm. Defining frequently used terms ("awards" versus "expenditures," or "direct" versus "indirect" costs) helps clarify how research dollars flow throughout the research enterprise. Awards and expenditures—Differentiating these totals is important to understanding funds flow in research because most of the funds awarded to an institution are not actually received from a funding agency until after they are spent by an awardee. In fiscal year 2009-2010, for example, research awards totaled $535.1 million, while research expenditures for that same time period were $448.4 million. Direct and indirect costs—Another important concept is that research expenditures are reimbursed by funding agencies in two categories: Direct costs are those related directly to the project at hand (salaries, supplies, travel), while indirect costs are earmarked by the funding agency to cover the institution's overhead, i.e., costs such as research administration and facility operations and maintenance. The sum of direct and indirect costs is referred to as total research funding. Indirect cost reimbursements vary over time, from one institution to another, and from one agency to another. The federal government may reimburse 55 cents for indirect costs for each dollar spent on direct costs, clinical trials reimburse 30%, and many foundations reimburse 10%, while others allow no indirect costs. "The overall average reimbursement for indirect costs in health sciences at Emory is about 39% to 40%," says WHSC CFO Ronnie Jowers. So how much does a researcher with a $1 million total research cost grant actually get to spend on his or her research project? If the funding agency pays a direct/indirect cost ratio of 60/40, for example, the researcher would have $600,000 of the $1 million to spend for salaries, lab supplies, and other costs directly relatable to the project. The remainder, $400,000, would be earmarked to reimburse indirect costs. So what then happens to the $400,000? This question arises with some frequency. "It seems that almost every meeting I walk into," Jowers says, "someone asks, 'Can't the indirects pay for that?' "
Often they can, and do. But the truth is, the recovery for indirects gets spread thin very quickly. "Indirect cost recovery is not revenue," Jowers emphasizes. "It reimburses costs and only partially reimburses costs." Like many clinical reimbursements from third-party payers, it doesn't cover all costs. "The rule of thumb is that research universities spend about 25 cents on the dollar over and above what they receive in indirect cost recovery to subsidize research expenses from other income sources," Jowers explains. To return to the $400,000 for indirects from the researcher's original $1 million total research cost grant, this money is received by the university and transferred to the researcher's dean (medicine, nursing, or public health) or director (Yerkes). The dean/director uses the funds to support the school/center's research mission, to reimburse research costs at the departmental level, and to offset both administrative and facility operations and maintenance (O&M) costs across our research enterprise, says Jowers. A large portion of the indirect cost reimbursement covers O&M (investigators and departments are not charged rent for their research space) and supports the "alphabet soup" of administrative offices (OSP, COI, IRB, ORA, IACUC, OGCA, EHSO, ORC, DAR, OTT, IAD) required to ensure that Emory's research is conducted ethically and legally—that i's are dotted and t's are crossed so that Emory can retain the grant and the researcher can continue to do research. In addition all faculty costs associated with the investigators’ effort on the grant must be covered. Research creates value for Emory, both tangible and intangible, beyond that reflected in the day-to-day calculus of awards and expenditures and directs and indirects, says David Stephens, WHSC VP for research. It creates hundreds of jobs at Emory, which support others in the community. It allows Emory to create start-up companies and license new technology. Research also helps build Emory's reputation and supports Emory's other missions, says Stephens, differentiating Emory clinically in the local marketplace and identifying ways to improve quality and cut costs in health care. Most important, says Stephens, "research produces new knowledge and drugs and devices that help save and extend people's lives." In late July, Nicole Turgeon (director of clinical islet transplants) and Kevin Kim (director of interventional radiology and image-guided medicine) together performed Emory's first minimally invasive islet transplant. The 42-year-old patient had had type 1 diabetes since she was 10. "Our protocol is designed to treat patients who have had type 1 diabetes for at least five years and have experienced severe hypoglycemic unawareness [unpredictable loss of consciousness caused by low blood sugar]," says Turgeon, principal investigator of the study. She conferred with other centers doing the interventional radiology procedure and collaborated with Kim for more than a year to develop Emory's protocol. "We're able to perform this type of transplant because of Dr. Kim's expertise in image-guided treatment of liver tumors in the interventional radiology suite and Emory's experience in islet transplantation and the development of new treatment regimens to protect transplant grafts from rejection," she says. Performed under moderate sedation, the procedure requires less than a quarter-inch incision rather than the two-to-three-inch incision used for the conventional method of islet transplant. Guidewires, catheters, and a central line are threaded through the incision into the portal vein. Under image guidance, the fragile islet cells are infused directly into the liver for implantation and to begin making insulin. The patient had no side effects and took only one pain pill following the transplant. She must still use an insulin pump to protect the islet cells during the recuperation period, although her dosage is much less now than before the transplant. Read more. 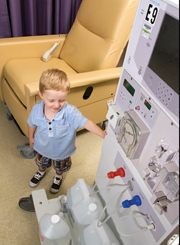 Currently, there are no FDA-approved dialysis devices designed for children. The U.S. Food and Drug Administration (FDA) has awarded Georgia Tech, Children’s Healthcare of Atlanta, Emory, and Saint Joseph’s Translational Research Institute a two-year, $1.8 million grant to foster development of medical devices focused on the special needs of children. The award will launch the new Atlanta Pediatric Device Consortium, which will provide assistance with engineering design, prototype development, pre-clinical and clinical studies, and commercialization for new pediatric medical devices. Historically, devices designed for adults have been used in children. However, differences in body size and in immune system responses between adults and children and the lack of appropriate models to assess how a device might function in a growing child can result in poor device performance and responses that are less than optimal. The consortium will provide assistance for pediatric medical devices from academic institutions and small businesses and will focus initially on three technologies: A smartphone attachment designed for at-home ear examinations, a renal dialysis device, and a gel designed to delay the refusion of a child’s skull bones after surgery for craniosynostosis. The consortium will be led by Barbara Boyan (biomedical engineering at Tech and Emory), along with consortium co-directors Kevin Maher, (pediatric cardiology), and Wilbur Lam (pediatric hem-onc and biomedical engineering). Read more. Since August 2010, when Gzne (pronounced Ja-nay) Brown became program coordinator for Emory Healthcare's patient/family advisory initiative, she has worked to help clinical units identify and recruit Emory Healthcare patients or patient family members as patient/family advisers (PFAs). Emory Healthcare now has more than 100. In recruiting PFAs, patients and/or family members are asked if they would be willing to help Emory physicians and staff improve the programs, policies, and processes that shape patient experiences. The answer is almost always, "Yes, but. . ."
"Yes," because most are eager to help. "No," because many find it hard to believe they have anything meaningful to offer. They soon realize they do. For example, Brown tells of a family member of a former heart surgery patient who attended her first unit-practice council meeting. The new PFA got up the nerve to say that she did not understand the wires attached to her mother's chest until the third day of her mother's hospitalization. The wires didn't seem to be connected to any kind of monitor in the room, so she had wondered, Where did the information go? And she had worried, Who was paying attention to it? But we explained that the telemetry wires were read on a monitor at the nurses station outside the patient's room, staff nurses responded—just before the "aha" moment arrived. Maybe patients and family members were unable to absorb much of the information they receive early in the hospitalization. This feedback prompted the unit to look at solutions such as repeating information on subsequent inpatient days, using patient education handouts, and providing explanations when a family member is present (not in itself a guarantee that the information is understood the first time it's provided). PFAs who meet monthly with a practice council serve as PFAs for at least a year, but others are involved in shorter-term projects, offering input about the ICU redesign at Emory University Hospital Midtown, for example, or serving on an editorial board that reviews letters, brochures, documents, even signage to make sure such documents are understandable. Sometimes, says Brown, PFAs' biggest contribution is reminding staff why what they do is so important. Based in part on patient and family input, staff nurses now do change-of-shift reports at patients' bedsides, so patients and families can hear what is happening and add their own observations. Training for staff nurses now includes skits by PFAs illustrating what they experienced during these bedside reports and what it meant to them. It's a learning lesson for new nurses and a morale boost for those already here. Brown spends much of her time talking to staff on clinical units about the PFA program and how PFA participation leads to better decisions and more effective improvements. The number of PFAs has increased since she came on board, but Emoroy Healthcare leadership would like to have at least one PFA on every project-improvement team and on every unit-practice council throughout the hospitals and clinic. While clinical units recruit the PFAs, Brown is their primary contact once here, matching PFA volunteers with projects and events and making sure they understand how important their participation is and how much Emory appreciates them. When a former Emory Healthcare employee received an out-of-the-blue diagnosis of stage 4 metastatic breast cancer, she learned how quickly medical bills and other unexpected costs can outrun insurance and savings. She had never experienced not being able to pay her bills before. Her financial difficulties were short-lived, thanks to some inherited land she was able to sell. But the experience made her think about other patients without such resources. She donated $5,000 to the Winship Cancer Institute Patient Assistance Fund in honor of her doctors—Grant Carlson, Mylin Torres, and Navneet Dhillon. The Winship Patient Assistance Fund was created in 2002 to help alleviate financial hardships many families face during the course of cancer treatment. The fund provides needy patients with aid in covering costs ranging from drugs, wheelchairs, and in-home hospital beds to utility bills, transportation, and near-hospital housing for patients and family members. Administered by James Hankins, director of social services at Winship, the fund distributed more than $14,000 last year, helping more than 100 patients and their families. Each penny donated to the fund, he says, is distributed to patients in critical need. For information on supporting this fund, contact Mark Hughes at 404-778-1288, mthughe@emory.edu. You can also donate online. Earlier this month, scores of Woodruff Health Sciences Center (WHSC) department chairs, administrators, financial officers, and other leaders got together to discuss recent organizational achievements and challenges, as well as our financial performance over the past year. Agenda topics included the final FY 2011 research funding numbers and a discussion of our strategies for the coming year; the challenges and opportunities facing Emory in the government affairs arena; detailed information about Emory Healthcare's recent outstanding UHC rankings, including how we got there and how we plan to stay there; and updates on facilities planning, hospital expansion, and more. The goal of the Numbers Day meeting, which will occur regularly, is to keep leaders abreast of these crucial issues so that they in turn can keep their own teams well informed of our progress, our setbacks, our aspirations, and our strategies for achieving them. Numbers Day is just one example of our commitment to transparency across the Woodruff Health Sciences Center. Transparency is a buzzword we're all hearing a lot these days, but what it means to us here in WHSC is pretty simple. It means we aim to be candid, forthcoming, and accountable. All of our stakeholders, but especially our faculty and staff, expect and deserve no less. When we're all clear on both the good news and the bad, we have the information we need to celebrate our successes and to work toward addressing our challenges. 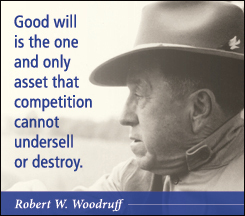 We hope that by sharing quality information with you through this series, Numbers Day meetings, and other avenues, we will give you some of the tools you need to achieve your own goals, and thereby the goals of the Woodruff Health Sciences Center. 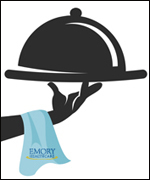 This month, Emory University Hospital Midtown became the third hospital in the Emory system to offer room service. Patients can order meals made fresh-to-order from a restaurant-style menu between the hours of 6:30 a.m. and 7 p.m., with orders delivered within 45 minutes. In addition to improving patient satisfaction, room service allows patients and their care teams more control over when meals are served, with meals better able to fit into a patient's care. Planning for this transition has been under way for more than a year, says Lynne Ometer, food and nutrition director for Emory Healthcare. "The process involved new hiring and training as well as renovations to allow for restaurant-style meal assembly," she says. Meanwhile, she adds, enhancements to dining services are continuing to be implemented across Emory Healthcare. The DeKalb County Board of Commissioners voted unanimously last month to approve a Special Land Use Permit for Emory University Hospital's new bed tower on Clifton Road. Under the plan, the new nine-story bed tower will be built in front of Clinic B and will include 210 private patient rooms, new operating rooms, and a new emergency department. Approximately 82 patient rooms in the existing hospital will be retired, for a net addition of 128 patient rooms at the hospital. Site preparations and excavation for the new bed tower are expected to begin next year, and the project is scheduled for completion in 2016. Read more. In late September, Internal Medicine of Newton County, a primary care physician practice in Covington, added "Emory" to its name and became part of Emory Specialty Associates (ESA), Emory Healthcare's outreach physician practice organization. The five-physician practice was founded by Emory medical residency alumnus James Stillerman, and each of the other four physicians in the practice have received a portion of their medical training at Emory. "Our goal with this partnership will be to continue to provide quality care for Newton and surrounding counties and support our local hospital and physicians, while improving access to Emory's experts and referral source," says Stillerman. Read more. Wesley Woods Center COO Al Blackwelder will be leaving Emory Healthcare at the end of December to become CEO of A.G. Rhodes Health & Rehab. He began his career at Emory some 36 years ago as a respiratory therapist at what was then Crawford Long Hospital. He rose through the ranks to become COO of that facility in 1994 and moved to his current position in 2007. In his new role, he will lead Rhodes' three metro Atlanta locations, including the one on the Wesley Woods campus. Medical school faculty members Jonathan Flacker (geriatrics) and David Schulman (pulmonology) each received the Dean's Teaching Award for the past academic year. They were chosen by a committee of students, alumni, and faculty from nominees from across the medical school community. Hospitalist Julie Hollberg is transitioning to a new role in Emory Healthcare as chief medical information officer (CMIO). The CMIO position was created out of recognition of the importance of having a physician leader fully focused on information technology. 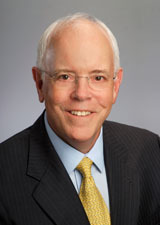 Hollberg has served as medical director of the Emory electronic medical record (EeMR) for the past several years. As CMIO, she will report to Bill Bornstein, chief quality officer for Emory Healthcare, while continuing to work closely with Information Services. Venkat Narayan (Hubert Professor, public health) has been named the 2011 Faculty Mentor of the Year by students in the Graduate Division of Biological and Biomedical Sciences. Mark Rapaport, chair of psychiatry, has received one of Prevention magazine's 2011 Integrated Medicine Awards for his work in researching how massage therapy can boost the immune system. He will be featured in the December issue. Steven Roser (oral surgery) received the Humanitarian Award from the American Association of Oral and Maxillofacial Surgery last month. Roser has made numerous trips to Central and South America, where he repairs cleft lip and cleft palate in disadvantaged children. Read more. Next month, Lynn Sibley (nursing school) will receive the Marion Creekmore Award from Emory's Office of International Affairs for her work in developing a birth-attendant model for use in developing countries. Read more about her work. President James Wagner and EVPHA Wright Caughman were included in the Atlanta Business Chronicle's most recent list of 100 Most Influential Atlantans. Other names included Herman Cain, Nathan Deal, Donna Hyland, and Bobby Cox. Nov. 4: Public Health Sciences Grand Rounds: Incorporating Genetics into Epidemiological and Prevention Research. Rollins Auditorium, Claudia Nance Rollins Bldg., 12 p.m. More info. Nov. 4: Grand opening, newly renovated Emory Sleep Center, 3-5 p.m., Wesley Woods Health Center. For more information, call 404-778-7777. Nov. 7-9: Tenth anniversary of the Lillian Carter Center for Global Health & Social Responsibility. Various venues, including nursing school and Glenn Memorial Auditorium. More info. Nov. 9: Tale of Our Cities: Planning for Interdisciplinary Response to Terrorist Use of Explosives. Twelve Atlantic Station. More info on program presenters and schedule. Background info. Register online. Nov. 11: Emory Veterans Day Ceremony. 7:45 a.m., at the flagpole on the quadrangle. More info.